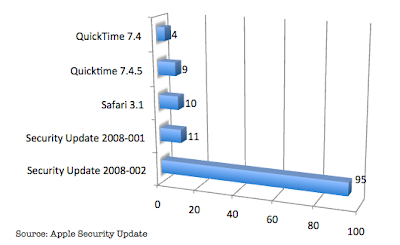 The first quarter of this year has gone so fast but for Mac threats everything just started. 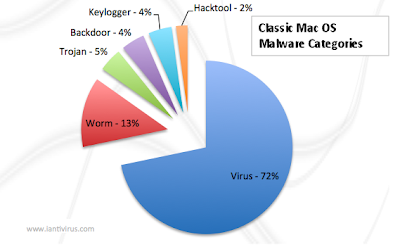 Let's take a review on Q1 notable threats, the overall perspective on malware categories and OS X reported vulnerabilities and fixes. Description: This is a malicious Trojan that uses social engineering technique to entice users to manually install the program. It arrives to users as a disguised video codec and associates itself with shared and downloadable videos. During installation, this Trojan modifies users’ DNS IP address to point to its own malicious servers. Infected user will suddenly experience unusual results in its entire web browsing activity. This trojan is currently seen in-the-wild. Description: MacSweeper is a rogue application which uses deceptive sales and marketing techniques to get onto the users’ system. It usually arrives to users as an pop-up advertisements, where it redirect users to download the file. This is the first rogue application for Mac OS X. Description: Imunizator is a re-branded version of MacSweeper. It is an exact copy of MacSweeper except for its new name. 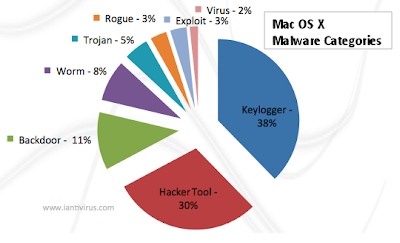 Description: LogKext is a free and powerful kernel base Keylogger in Mac OS X. This keylogger has a full stealth capabilities and it is controlled by a command-line client called logKextClient. A new version was recently released in public.